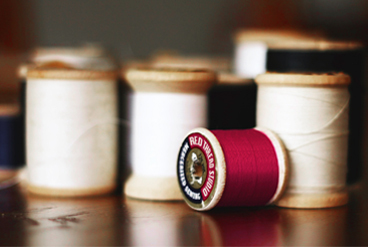 Dressmaking courses for beginners - Learn to sew at Red Thread Studio Edinburgh! 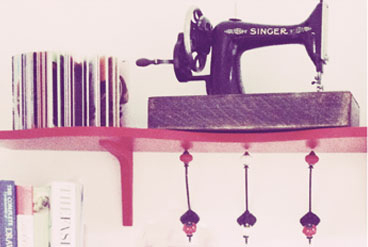 Red Thread Studio Edinburgh provides sewing classes, dressmaking courses and Learn to Sew classes in Edinburgh from our beautiful studio in Newington. Come along and see why over 1500 people have learnt to sew with Red Thread! There are a huge variety of courses, from our half day Saturday courses where you can learn the very basics whilst making an item from scratch, to our longer dressmaking courses. Our Introduction to Dressmaking course will teach you to make a dress using a pattern and fabric of your choice in just 5 classes - even if you've never sewn before! For more advanced sewers we have our Jersey Knit dressmaking course and our Party Dress course allow you to make a more complex dress using a commercial pattern. We also run special children's sewing courses (for children over 8) during summer and Easter holidays, as well as Saturday children's sewing classes. Children over 16 are welcome to come on any of our courses, but if you have a younger child who is interested please get in touch. Our sewing courses are fun, relaxing and creative with expert tutors and lots of fun! Founded in 2013, Red Thread Studio Edinburgh is a welcoming sewing space for you and your friends, we'd love to get to know you more - please find out more by clicking on the links above, or emailing us on info@redthreadstudio.co.uk - we look forward to welcoming you and showing you the fun, creative, sometimes challenging but always fun world of dressmaking and sewing! 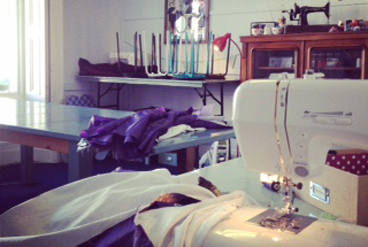 Sign up for a sewing class today!